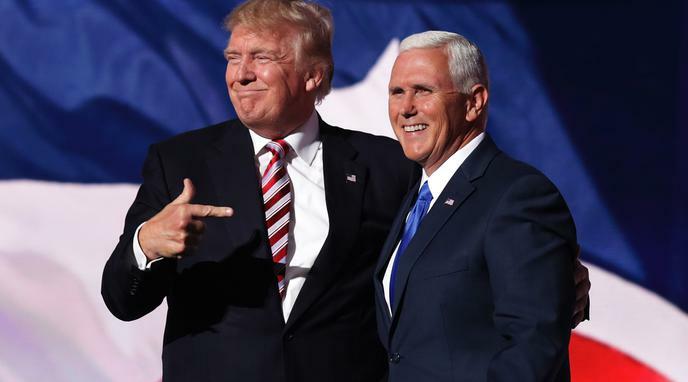 Mike Pence Would Make a Better President than Donald Trump. Mike Pence's lack of charisma will ensure that he will serve as a low-key president in comparison to Trump, which will be better for the country. corrupt and illegal ties to the Russian Government. This is a threat to US national interests, which would be removed if Mike Pence were to replace Trump as President. Mike Pence would be more effective at moving policy forward. Mike Pence is less unpredictable and aggressive than Donald Trump. cruel to marginalised groups, both through his rhetoric and his actions. It is unlikely that Mike Pence would go so far in tormenting convenient political targets. norms and conventions that govern American political behavior, and would thus be healthier for the American republic. The American people clearly want an outsider to be president, and Mike Pence would be little more than a tool for the Republican establishment. There is a prominence of religion in Mike Pence’s governing agenda which might blur the lines between the state and religion. Pence is more doctrinal conservative, while Donald Trump is less beholden to ideology and thus more able to do what he believes is best. Mike Pence's regressive views will make him a worse President than Donald Trump. Mike Pence's foreign policy agenda would be worse than that of President Donald Trump. Mike Pence is rather hypocritical in his views and endorsements.